It's that time of year...time for holiday baking! I'm always on the hunt post-Thanksgiving for my next cookie project. I knew I found a winner after browsing through this fun cookies of the world article from Food 52. Italian Rainbow Cookies! These cookies look so festive that it made me immediately attracted to them. But I found myself, like last year, about to make an iconic New York Italian cookie that I had never sampled. So I hunted down the only Italian bakery in all of Houston to try one out before embarking on the adventure. Drew's Pastry Place, the only Italian bakery in the fourth largest city in America (doesn't seem right, am I right? ), is located about 25 miles northwest of downtown. It was a bit of a trek but I also made the trip into a cupcake trip as well. 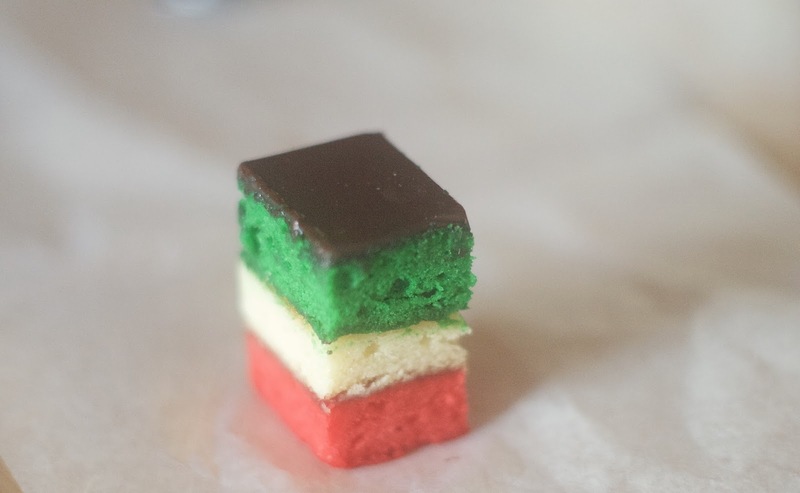 The Italian Rainbow cookie: more cake-like, full of almond flavor with a hint of fruit (from the almond and raspberry preserves between the colorful layers) and a beautiful and delicious treat. 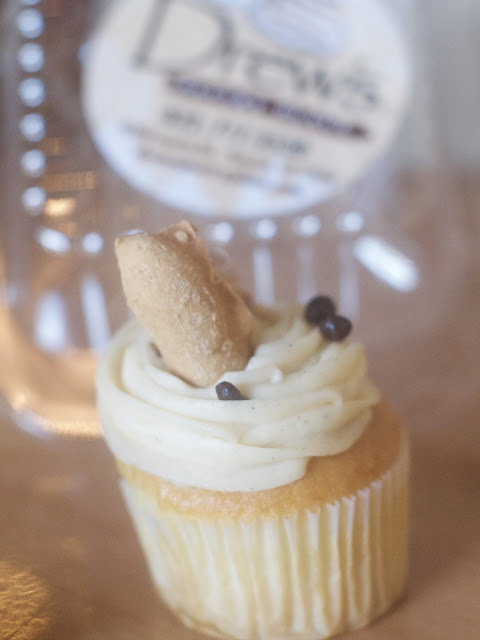 And I ordered myself a cannoli cupcake, which Drew's Pastry Place created while featured on the show, Bakery Boss. The cupcake, which was $3.25, was a mediocre cupcake: fluffy, fairly moist, flavorful cheese-filled frosting but the cake was generic along the lines of grocery store yellow cake. I would have preferred the actual cannoli than this cupcake. And please, please, please don't refrigerate cupcakes! I had to wait at least a half hour for it come to room temperature before the texture became fluffy and more appetizing than it was when it was dense and cold. Stay tuned for my baking adventure with the rainbow cookies!